Traveller: Travel News and Stories: Africa’s ‘Magical Beasts’ and where to find them. Africa’s ‘Magical Beasts’ and where to find them. African safaris are usually top of most people's bucket lists when it comes to wildlife viewing. Its myriad national parks, reserves and conservation areas number amongst some of the most beautiful places on the planet and are home to an astonishing variety of wild animals. With so many exciting wildlife experiences to be had at in different destinations and indeed, different times of the year, any visit to Africa is guaranteed to be full of close encounters of the animal kind. But for many travellers, coming face to face with Africa's 'magical beasts', the fabled 'Big Five' (lion, leopard, elephant, black rhinoceros, and African buffalo), remains the pinnacle wildlife experience. Originally a term coined by big-game hunters to describe the five most difficult African species to track and hunt on foot, today a 'hunt' for the Big Five is typically with camera and binoculars only. But where are the best places to see them? Well, while animal viewing possibilities abound, the reality is there's no guarantee you'll see each one while on safari. Knowing animals' habits – as well as where to stay and what to do while on safari – will greatly increase your chance of success. Michael McCall from luxury safari specialist, Sanctuary Retreats, offers up his suggestions for where visitors to Africa are most likely to tick off their Big Five wish list. "The Serengeti is definitely at the top of my list. Not only is it a classic Tanzania destination, but it's also just one of only a handful with populations of all five species. "Lying in a high plateau between the Ngorongoro highlands in northern Tanzania and the Masai Mara Reserve in neighbouring Kenya, the Park is justifiably regarded as being one of the best places for safari for one very specific reason – the Great Migration. This annual event sees, literally, hundreds of thousands of wildebeest and zebra pass through the Park in search of food. And of course, with the herds of grazers, come the predators. I always tell guests one of the best times to visit the park is in May when the grass becomes dry and exhausted and the wildebeest and zebra start to mass in huge armies, offering a really spectacular wildlife show. "In terms of where to stay, Sanctuary Kichakani Serengeti Camp moves between three different locations across the year, which means guests can follow the migration as it travels across the Serengeti. Plus, we operate the permanent Sanctuary Kusini Camp where wildebeest congregate on the camp's doorstep every year. "Number two on my list is the Ngorongoro Crater, another classic Tanzania safari destination. The Ngorongoro Crater is a geographical wonder in its own right. The caldera's vast, steep walls loom over the valley below, and are what lead to the incredible abundance of wildlife in the crater, as they trap a rich assortment of large and small safari animals inside it. "With two rainy seasons – the long rains fall in April and May (into early June) and the short rains fall in October and November, we recommend visiting in December, January, February or late June through to early October for the best game viewing opportunities. Our Sanctuary Ngorongoro Crater Camp is located right in the heart of the Park on the crater rim and is a fantastic place to catch all the action as it is home to one of the largest populations of animals in the Park including zebra, buffalo, warthog, wildebeest, hippo and elephants – not to mention an amazing assortment of predators – lions, hyenas, jackals, cheetahs and the even elusive leopard. "With a well-deserved reputation as one of the best all-round safari destinations, no list would be complete without the Okavango Delta. The Delta forms part of the Kalahari Basin, situated at the southern periphery of the Great Rift Valley, and covers a massive 22,000 square kilometres. Although the periphery is semi-arid, the Okavango Delta itself is mix of cool clear streams, lagoons, floodplains and forested islands. "Covering almost a third of the entire Delta, the Moremi Game Reserve comprises a diverse habitat where the desert and delta meet, with plenty of forests, lagoons, floodplains, pans and woodlands. Because of its unique terrain, the area contains the full spectrum of game and birdlife including all of the Big Five, as well as cheetahs, hippos and crocodiles and plenty of bird life, which all adds up to superb game viewing! "Moremi is probably best visited during the dry season, from July to October, when seasonal pans dry up and vast numbers of wildlife flock to where the floodwaters infiltrate the Delta. 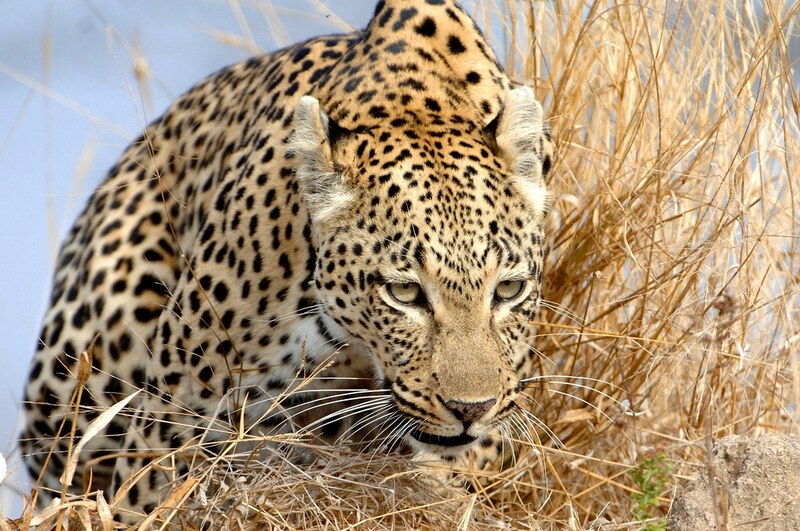 June to August is peak season for most safari areas within the Okavango. But September and October when temperatures really start to climb, often deliver even higher concentrations of game around the few available water sources. Sanctuary Retreats operates three luxury camps in the Okavango Delta – Sanctuary Stanley's Camp. Sanctuary Baines' Camp, and Sanctuary Chief's Camp, all of which offer great game viewing experiences, and which can be either booked alone or in combination with each other. "The final destination on my list is one of Africa's most famous and popular game parks, the Masai Mara – the Kenyan extension of the Serengeti. Many people consider Kenya the birthplace of safari, and there is no doubt the Park offers up amazing game viewing experiences, not to mention plenty of opportunities to experience the Big Five. "The Great Migration usually passes through the Mara between July and October each year, which is when travellers can expect to see dramatic river crossings, where plenty of crocodiles lay in wait for wildebeest and zebra. "Our flagship property, Sanctuary Olonana, is situated on a private stretch of the Mara River right in the heart of the reserve, the Masai Mara and is the ideal base from which to explore the Park, with a range of activities on offer including game drives, cultural visits, bush dinners, sun-downers, scenic flights and balloon rides."